The ‘Atilogwu’ (Acrobatic Dance) was an acrobatic dance that served both as entertainment but also equivalent to today’s cheerleaders in the west. The acrobatic flips, high jumps, etc kept young men in shape and out of crime. 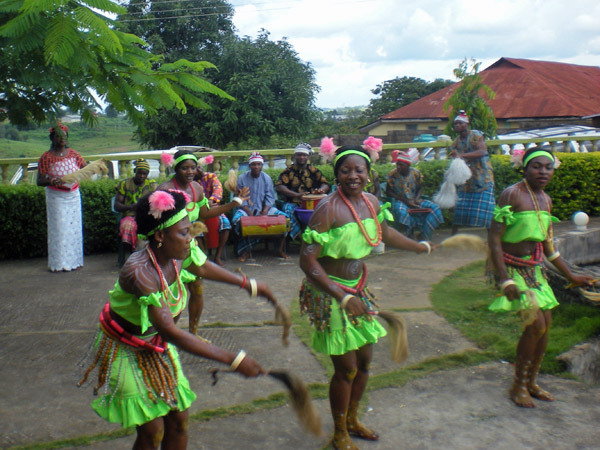 ‘Abigbo’ and ‘Ekere-Avu’ dances (social critics) both from Mbaise community in Nigeria were used for social criticisms in an entertaining manner. Through Abigbo, people could collectively voice out criticisms on governments and powerful people in the society, which otherwise a single person could not do without being victimized. ‘Omuru-onwa’ and ‘Agbacha-Ekuru nwa ’ were both dance groups for married ladies and could be compared to today’s exercise clubs in the west. Married women and new mothers used such entertaining avenues to exercise, lose weight, shed baby fats and stay healthy through weekly rehearsals. 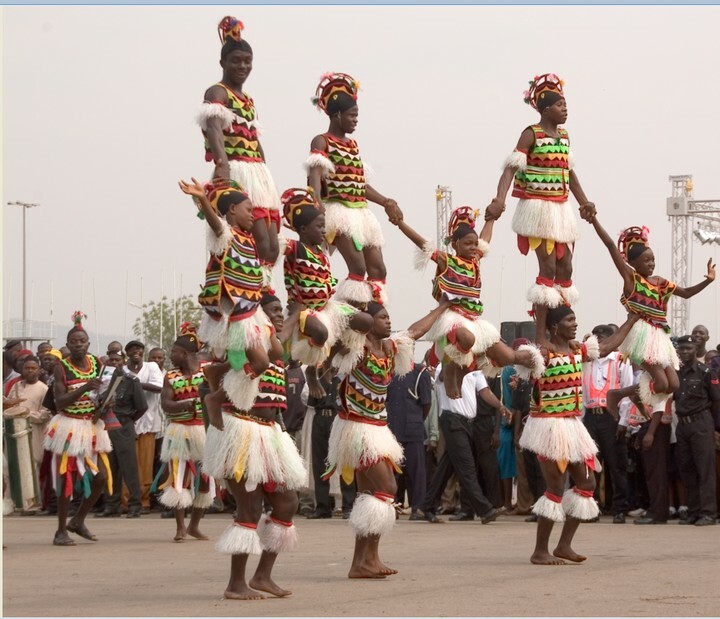 ‘Nkwa umu-Agbogho’ (the Maiden dance) was mostly a dance group for young ladies. The breathe-taking chest and waist dance, where maidens who have come of age to marry flaunted their body in seductive manners to attract suitors. It also helped the younger girls keep mind and body busy to abstain from s-exual activities before marriage. ‘Ikpirikpi-ogu’ (War dance) was a dance of warriors usually used to welcome soldiers back from tribal wars. Today it’s purely symbolical to show the prowess and valor of a community and it’s triumph over collective challenges. Igba Ndi Eze (A dance for the kings) . This was used to usher in kings, titled men and women either into an arena or into an occasion. ‘Ekpe’ was a type of masquerade but usually was more confined in a vicinity, where young men could boast of their valor and strength in turns. The ‘Mmanwu’ (masquerades) were widely used to protect deities and to deliver judgments/penalties on otherwise powerful people because masquerades were untouchable, feared to be spirits. Young men enlisted into the groups to effectively act as a local police. 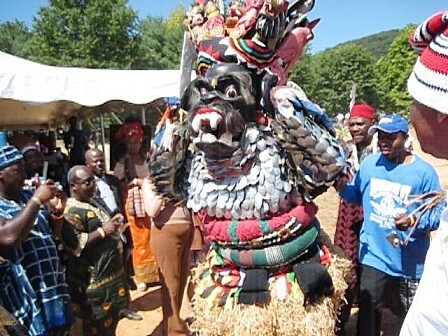 Ijele – Ijele was the king masquerade, beautifully adorned, accompanied by other smaller masquerades and usually comes out last in any Igbo ceremonial event. ‘Ese’ (funereal dance) – had two versions. ‘Ese-ike’ was played only on an elevated platform to celebrate the life of a well-accomplished man, while ‘Ese-Ala’ was played on the ground with an array of talking drums and xylophones to celebrate the live of a well-accomplished woman. ‘Ikoro’ was a huge wooden gong carved out of huge tree trunks. It was used to communicate to the entire community because of its deep, loud resonating sound. The ‘Ikoro’ dance itself was a very. 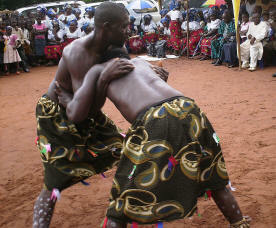 ‘Mgba’ (Wrestling dance) was used to cheer wrestlers as young men and women competed in local championships.